Home » Products » Hazloc. Hazardous location panels are the panel which are approved to be installed in Div 1 or Zone 1 and lower divisions or zones. There are various methods of protection which are used to rate the panels or components for this area. We categorized few of the most common ones which we use to rate our panel for the hazardous area. Explosion proof panels or flame proof panels use the heavy cast metal enclosures and this method of protection is called flame proof. 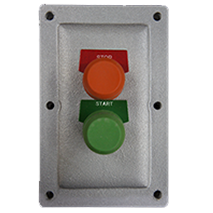 Hazardous location panels use various methods of protection which can be from intrinsically safe to encapsulation. 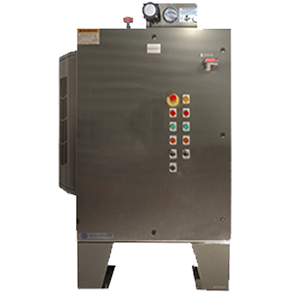 The panels are designed to protect the internal systems from external factors such as explosions, combustible gases and dust particles. The connections between the filed instrumentation and internal panel components may be connected through Zener barriers or intrinsically safe barriers. 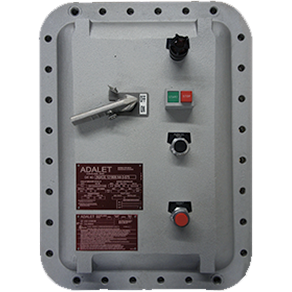 Explosion proof panels are built with robust metal walls to allow the containment of internal explosions from components and the sustainment of external explosions. Fittings, glands, and other system components will be ensured to have the appropriate rating for the the above mentioned standards. Components with a general area classification cannot be used. The doors of the enclosure sections are built with water tight seal compounds and gaskets between them. There are multiple ways of protecting electrical equipment to prevent an explosion when used in the presence of a flammable gas, combustible dust, or easily ignited fibers. For an explosion to occur, there must be three elements present – fuel, oxygen, and an ingnition source. The fuel and oxygen must be present in the correct amounts – not enough fuel (a lean mixture), or too much fuel (a rich mixture) cannot ignite. Each method of protection addresses the Fire Triangle in some way – either by containing and internal explosion or eliminating one or more of the components necessary for an explosion to occur. Explosion proof motor starter designed and built with special controls so it runs only in one direction even the input phase sequence get changed. Mostly this feature is required for the portable units where the input power source is different always and the motor need to be running in one direction only. 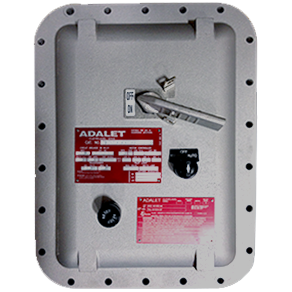 These enclosures are designed so that the hot gases generated during an internal explosion are cooled below the ignition temperature of the surrounding flammable atmosphere as the gases are transmitted through the joints of the enclosure. 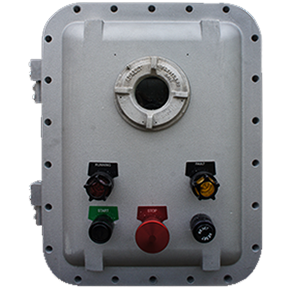 Any parts which are not rated for hazardous area can be installed in these enclosures and then the assembly becomes rated. There are some exceptions apply, that which parts can’t be installed in these enclosures. 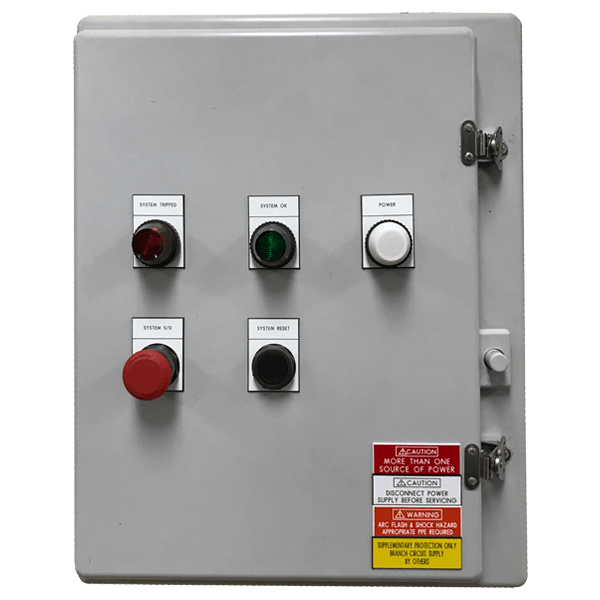 Local operator panel fitted with Z purge which converts the inside of the enclosure from division 2 to non hazardous area so some of the incendive non hazardous approved components are used in the panel and the assembly is approved for class I division 2 area. Purge Y fitted on a enclosure to convert the inside of the enclosure from division 1 to division 2 so we could use all the division two rated parts which were easily available and the whole panel is approved for class I division 1. 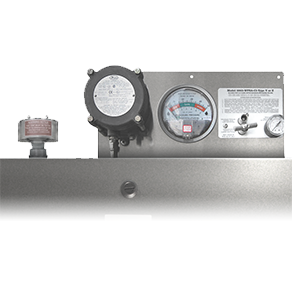 A VFD panel rated for division 2 area. 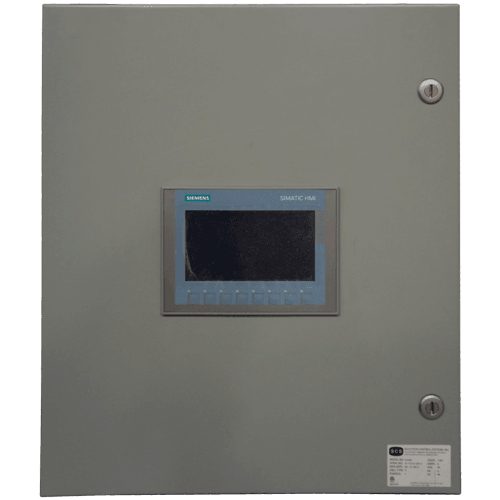 This panel is fitted with Z purge which converts the inside of the enclosure from division 2 to non hazardous area and we could use the variable frequency drive panel controller and all the other non approved incedive components inside this panel. As the VFD controller produce ample amount of heat so we installed a division 2 rated air-conditioner on this panel to cool the inside. This is type of protection which prevents the entry of the surrounding atmosphere it the enclosure by maintaining positive pressure within the enclosure of a protective gas at the higher pressure than surrounding atmosphere. Purge Types X Changes the area within the unit from Div.1 to nonhazardous Y Changes the area within the unit from Div.1 to Div.2 Z Changes the area within the unit from Div.2 to nonhazardous. HMI and other parts used in this panel are rated for Division 2, so the whole assembly is rated for Division 2. This type of design can be lot economical if there has to be lots of operators on the door and time to time there can be changes in the sequence of operation. Main panel for a distillation skid in hazardous rated for Division 2. This assembly is built using sealed and non incendive devices. 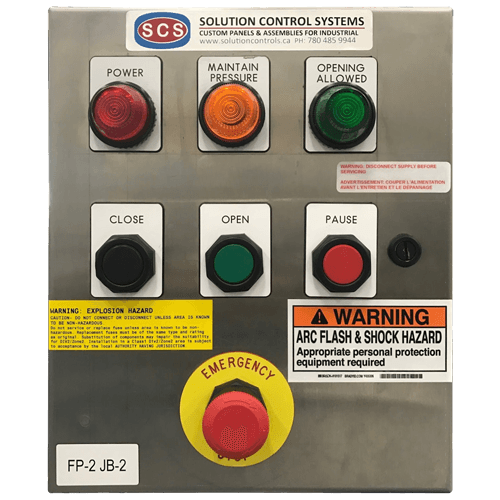 Some of the components required for this panel were not rated for area so we sent those to an inspection company for a destructive test and then were approved to be used on this panel. Local operator panel for a filtration unit rated for Division 2. It was not economically possible to build the main panel rated for Division 2 due to the parts use in the panel. 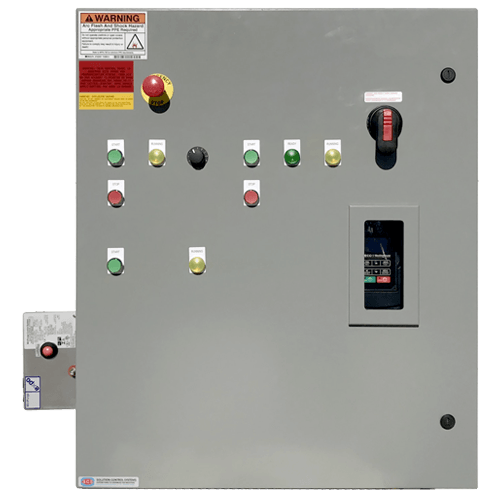 So the main panel was installed in the non hazardous area and the controls required to operate the filtration unit were designed on this small panel and interconnected together in the field. These are the panels built by using hermetically sealed devices. Any arcing or sparking contacts in these devices are hermetically sealed against the entrance of gases and vapours. 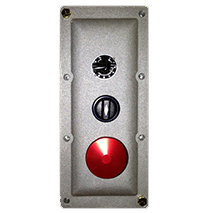 Control Station contains potentiometer, selector switch and emergency stop. This is custom made to control a variable frequency drive from Class I Division 1 area. This control station approved for Class I Div 1 and Zone 1. 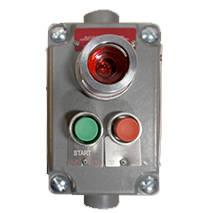 This is custom built to start and stop a motor from hazardous area remotely. This control station approved for Class I Div 1 and Zone 1. This is pre-built start stop control station with a pilot light showing the motor run status.